Description: Polyester strap with carabiner and split ring. 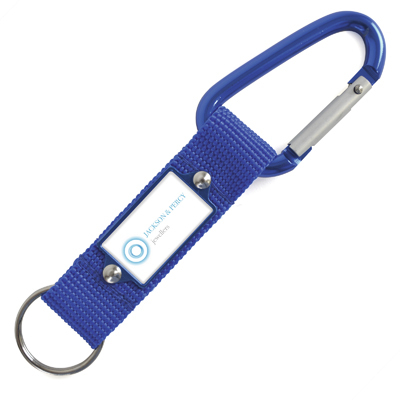 A different robust keyring, great for outdoors. Additional Information Price includes a full colour dome to 1 position. Price excludes Carriage & Origination. Notes Prices inclusive up to a full colour dome to one position. Set up and carriage are additional.